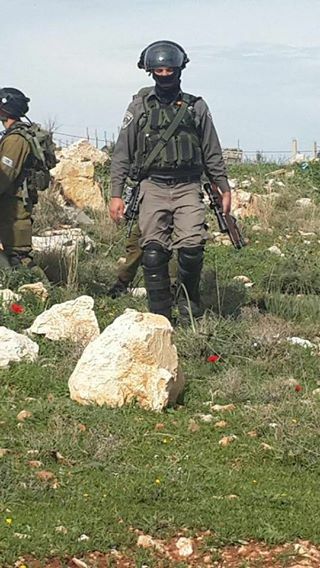 Israeli Occupation Forces locked down Nabi Saleh from the early hours of the morning , preventing vehicles from entering the village. 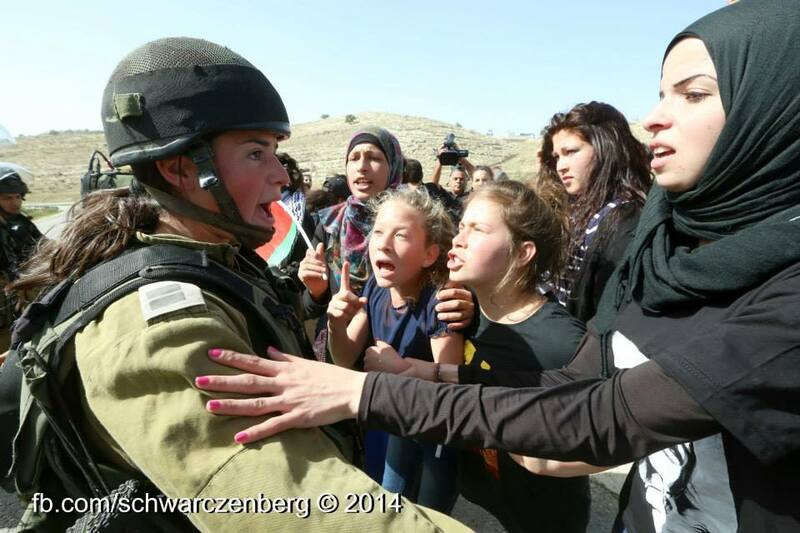 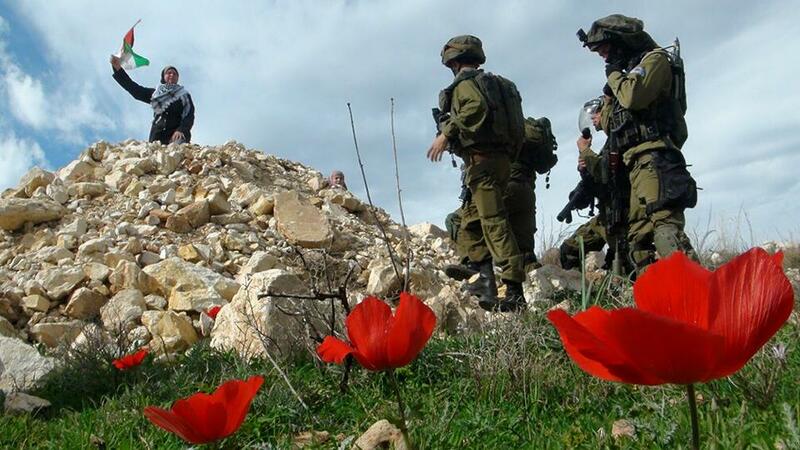 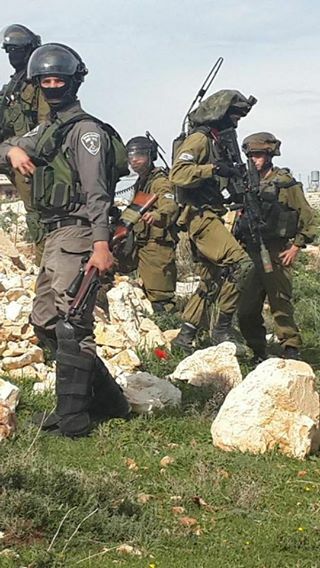 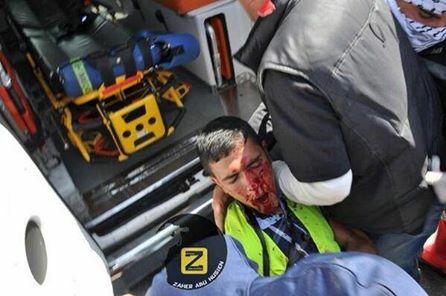 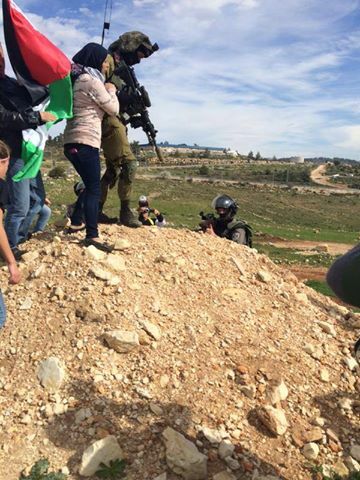 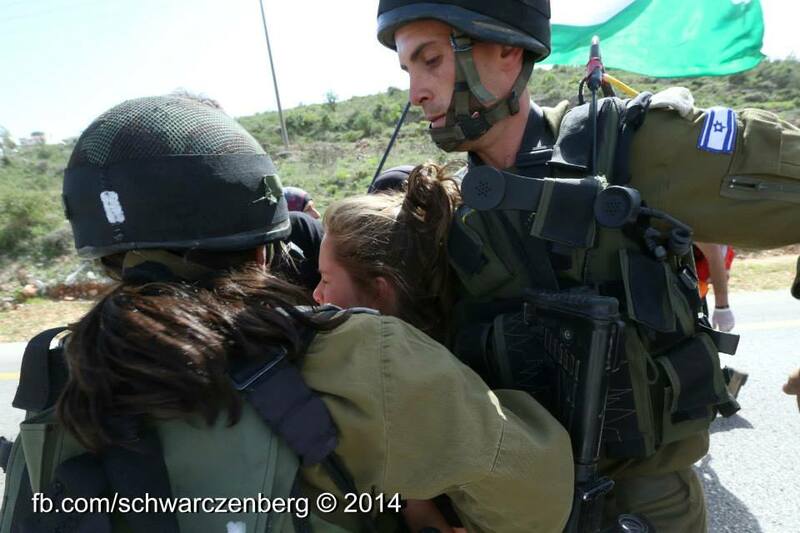 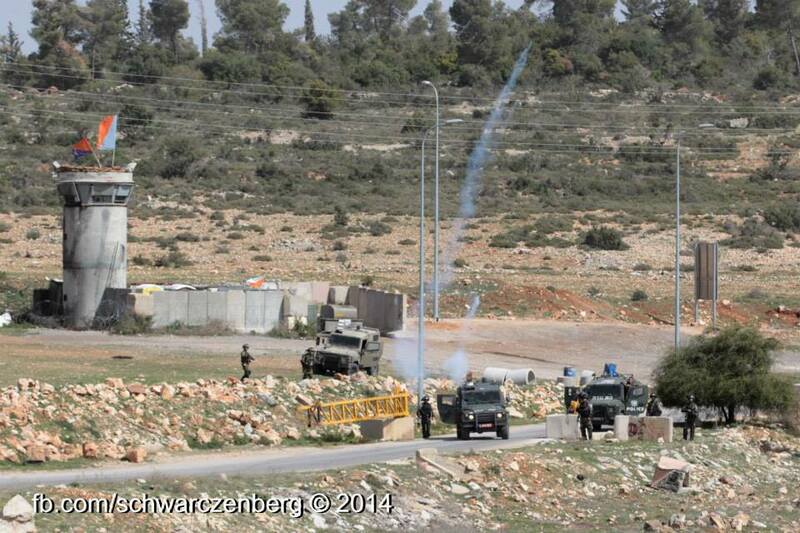 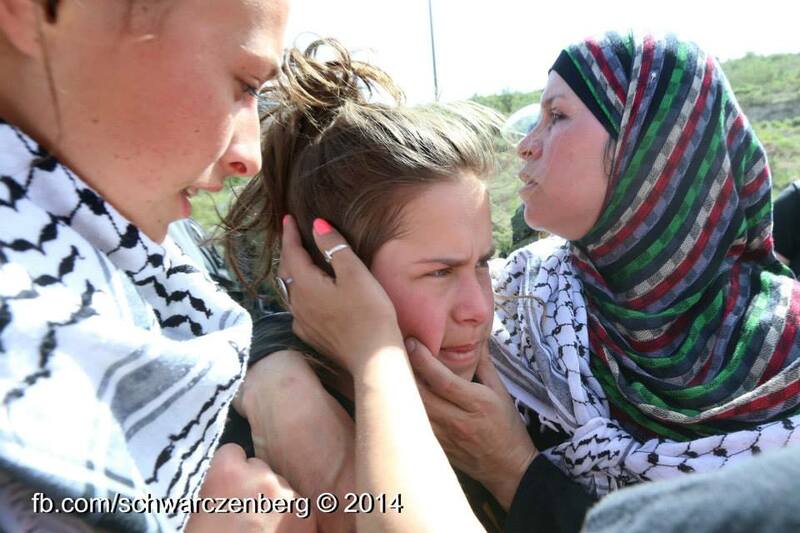 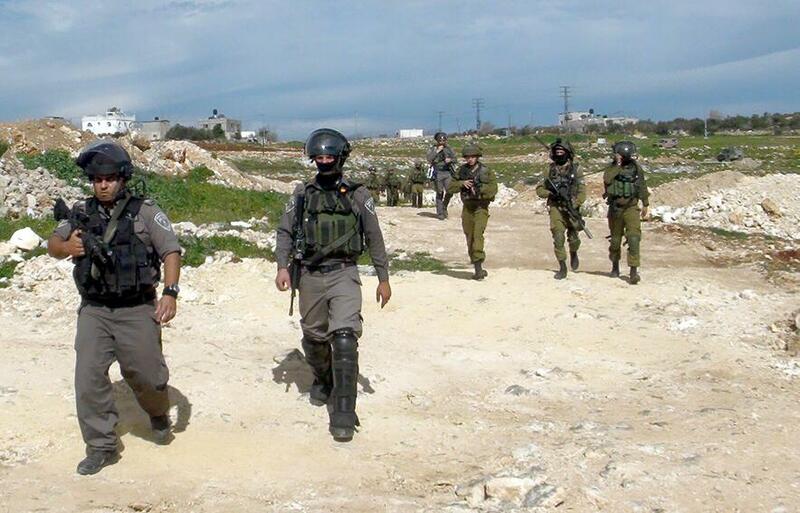 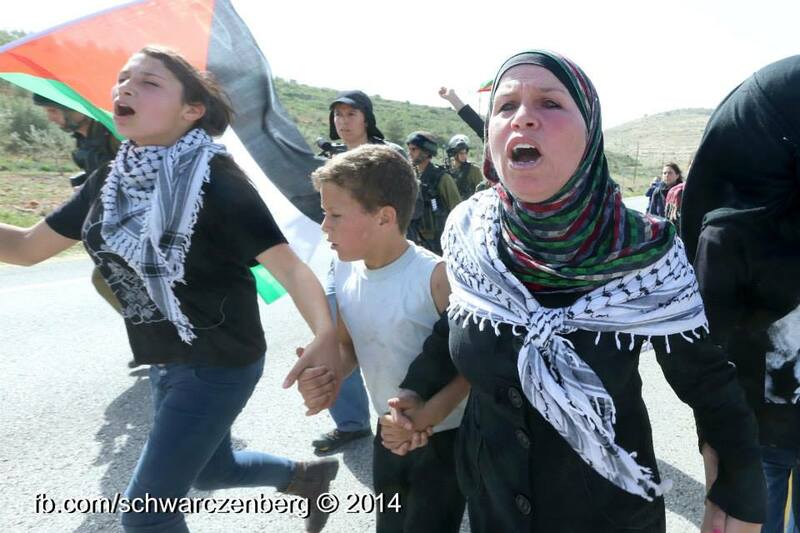 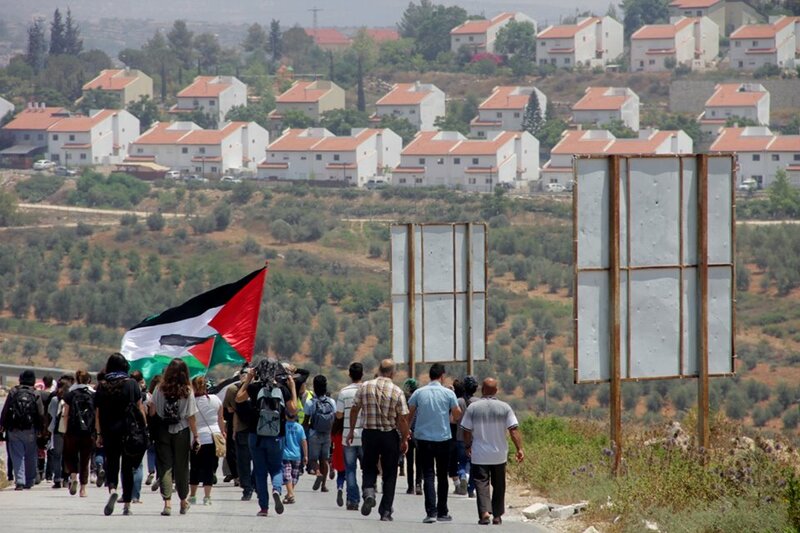 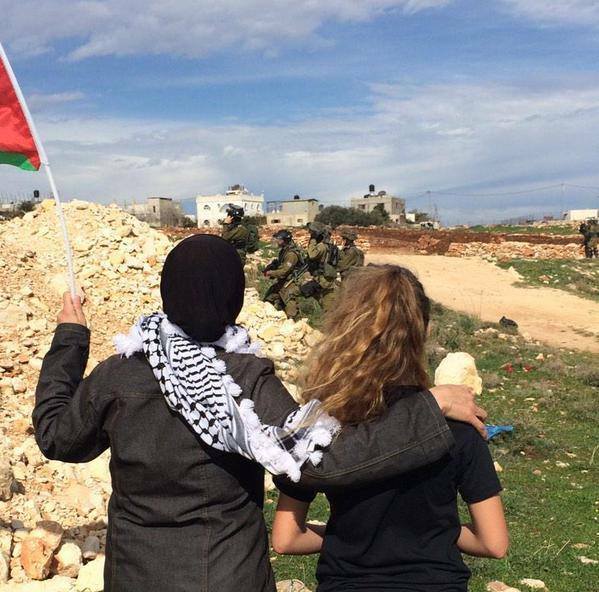 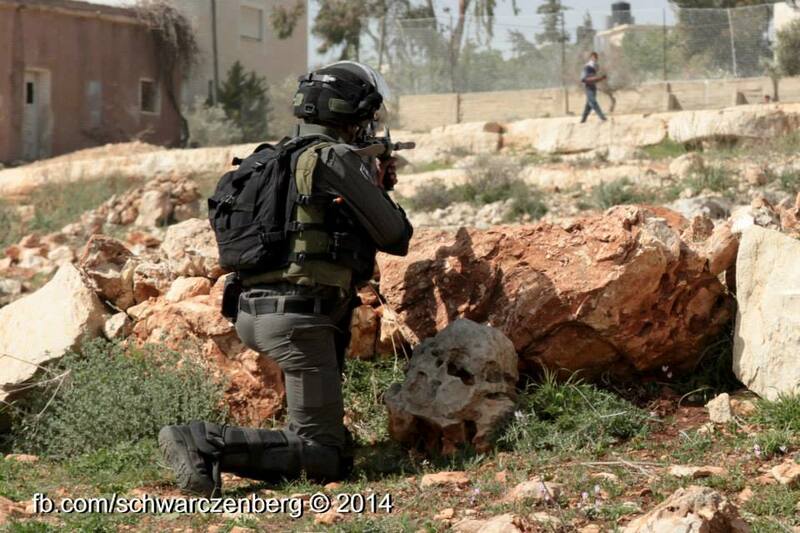 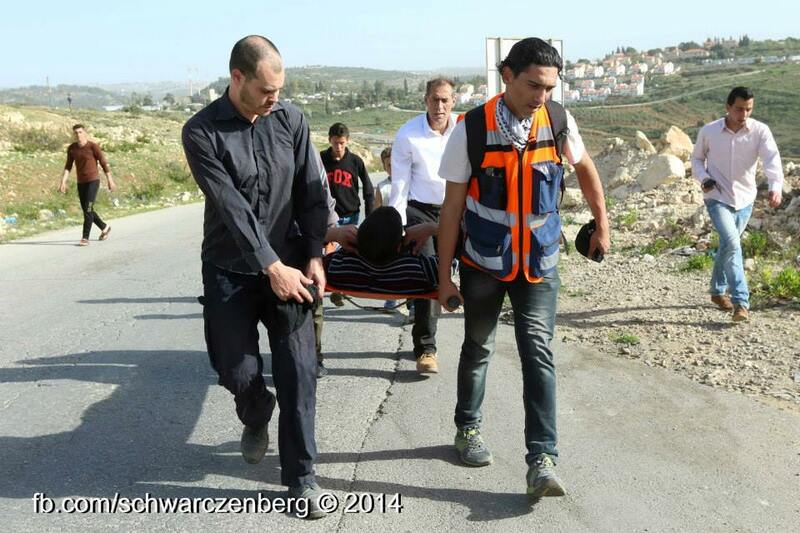 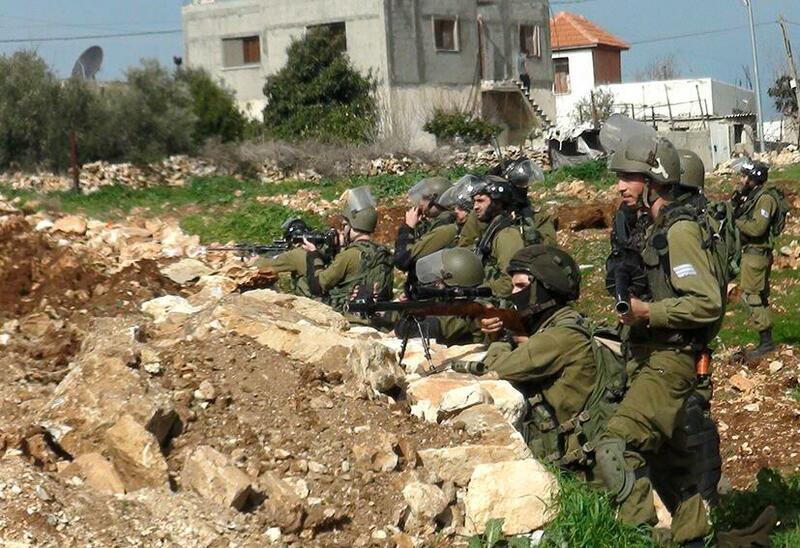 During the weekly demonstration the IOF arrested one young man and assaulted others when they attacked the village. 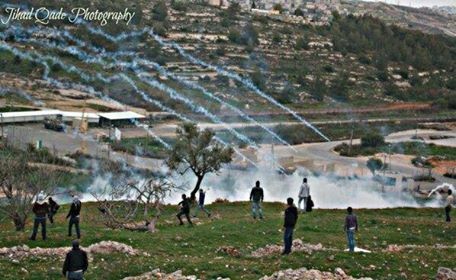 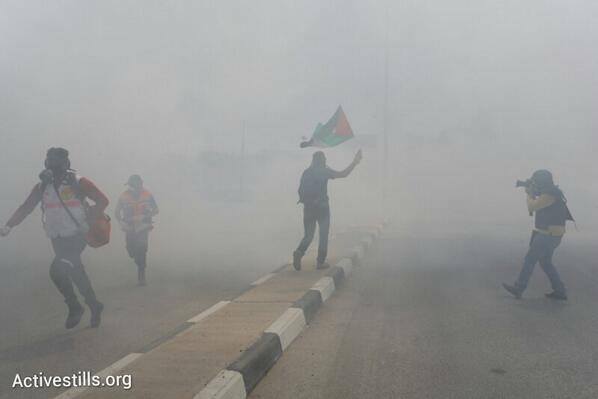 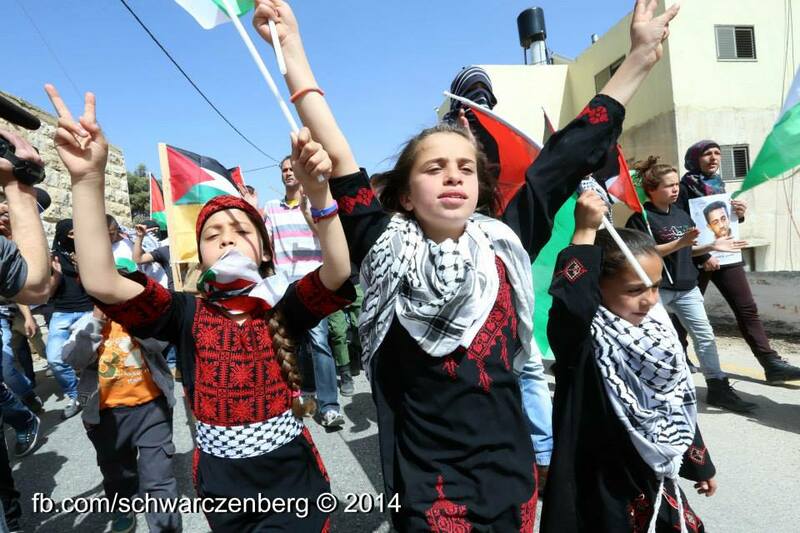 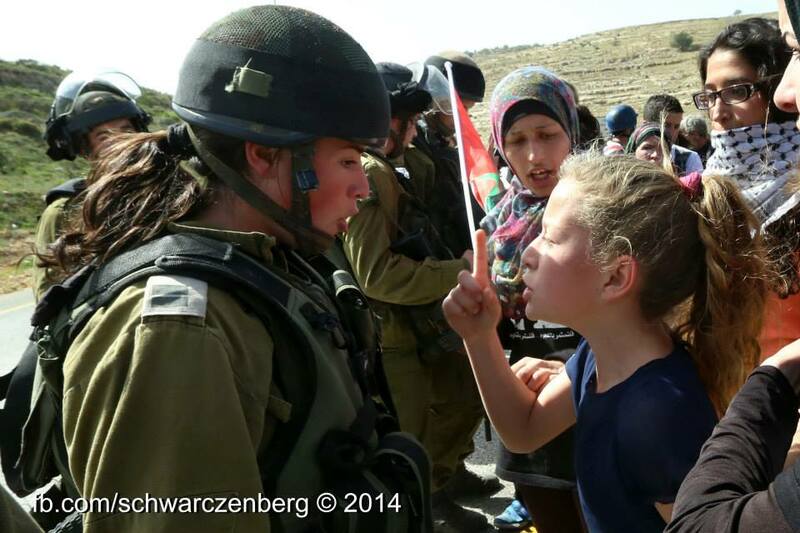 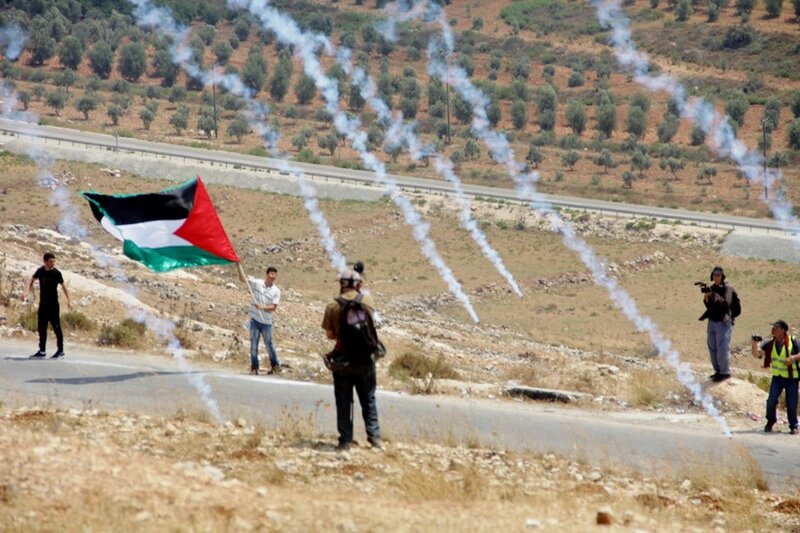 Israeli Occupation Forces targeted the peaceful march, which included women and children, with teargas, rubber coated steel bullets injuring many. 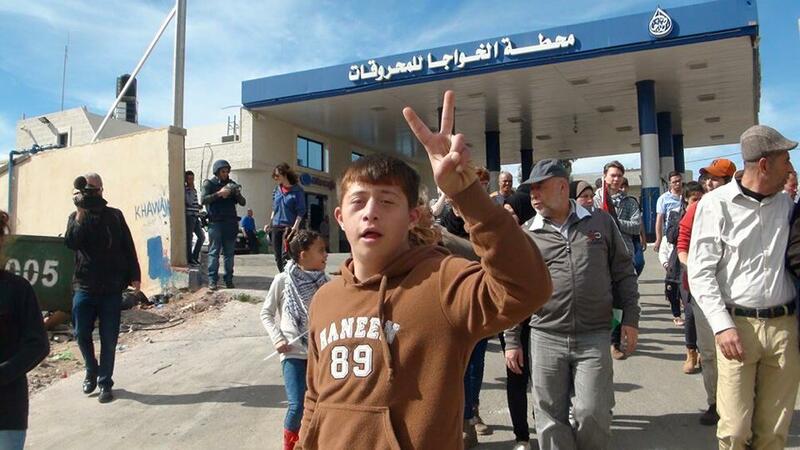 Walid Daifallah Tamimi, 18 was arrested from inside a shop. 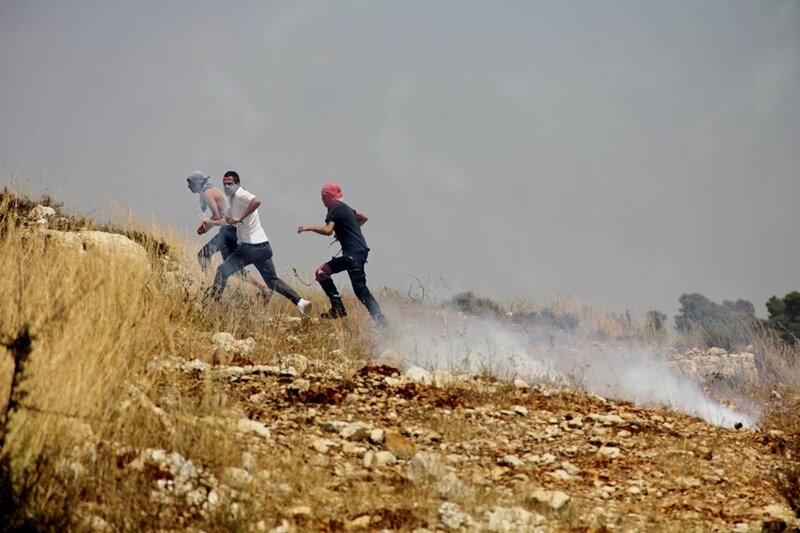 The demonstration protested against the torture and murder of Palestinian teenager Mohammed Abu Khdeir, who was kidnapped from Occupied East Jerusalem by illegal Israeli settlers. 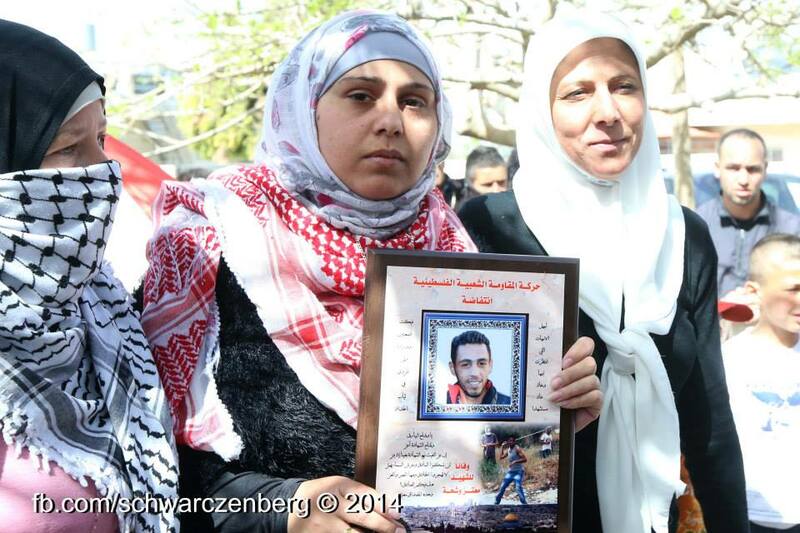 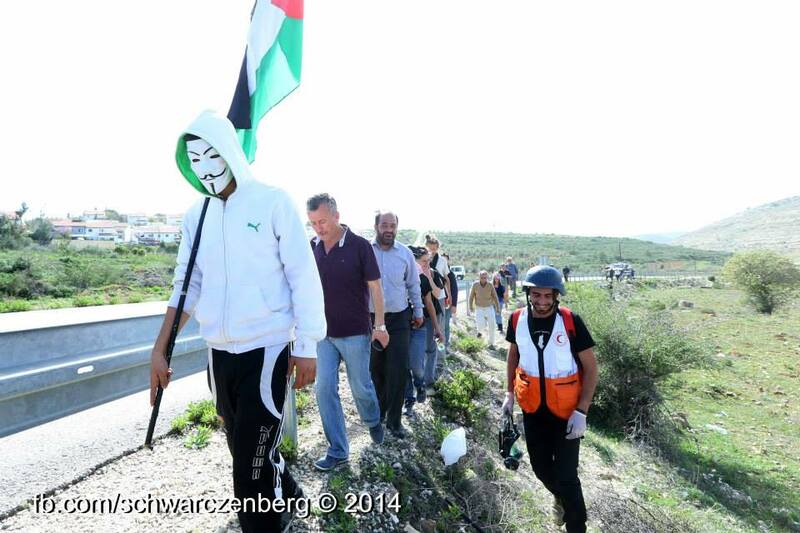 Honoring Mu’taz Washaha from Bir Zeit, an activist murdered by the IOF a week prior, Palestinians and solidarity activists marched from Martyrs’ Square at the centre of Nabi Saleh towards the main road. 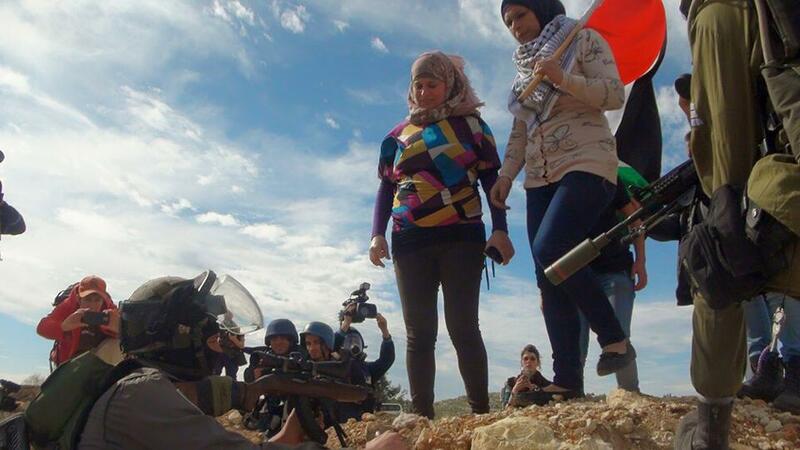 Marking also international women’s day, prominent female protesters also confronted the soldiers who attempted to brutally disperse the march. 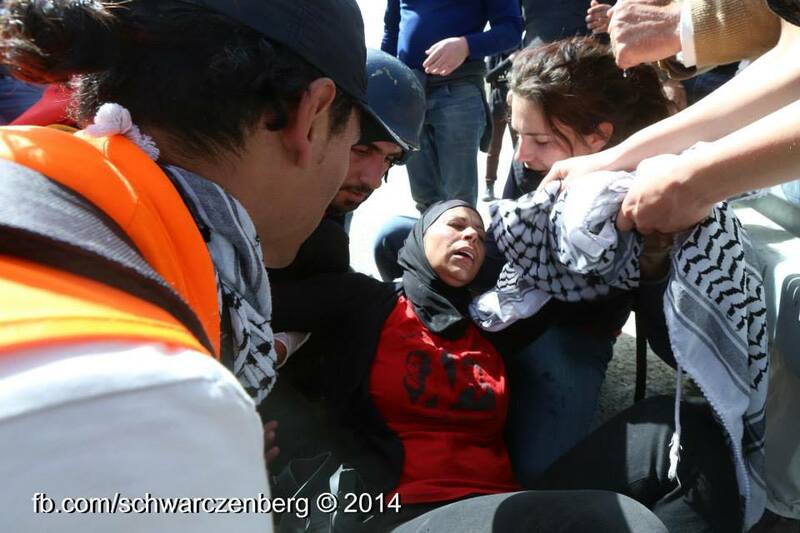 One woman was severely beaten and transferred to a Ramallah hospital. 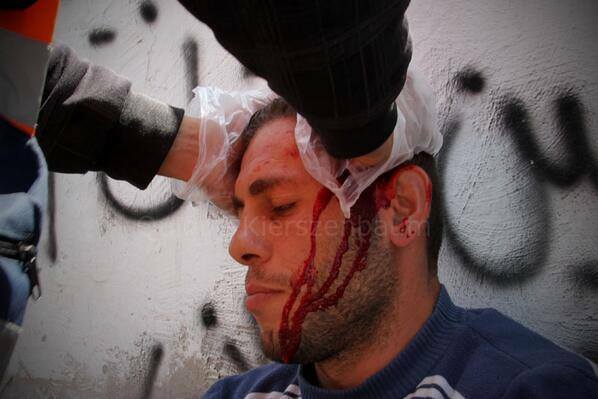 Several other protesters were injured from rubber-coated steel bullets.